Creating a picture book (or any other book) and getting it published doesn’t happen overnight, at whatever point in the process we’re talking about. Whether it’s the writing of the story, the mapping out of illustrations, finding a publisher, the completion of finished artwork, the scheduling of the book’s publication, the marketing of it and, more and more, the sale of foreign right, all of these stages take time. As an author, it can be terribly frustrating to finish a story and know that it could be 2 years before it is published, as would be the likely scenario if I were to submit one today. 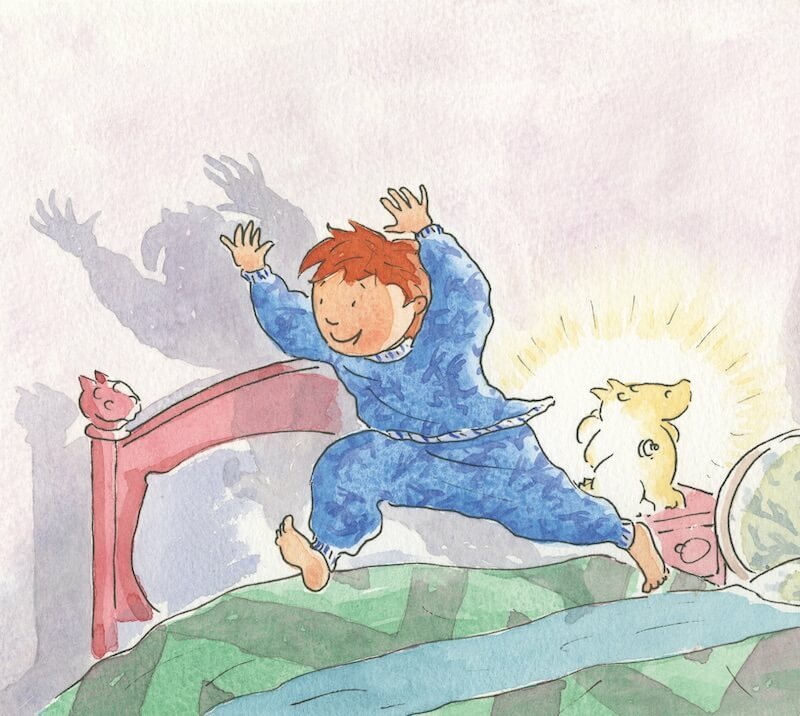 I actually came up with the idea for my most recent book – The Book at Bedtime (incorporating Goodnight Dragons) – some 20 years ago, but couldn’t quite make it happen, though there was some interest in it from a publisher I was working with at the time. I revisited it a couple of years ago, reworked it and gave it to Peter Utton, the fabulous illustrator I have collaborated with on many books. He liked it, and between us we honed it still further, including a complete set of rough illustrations, to the point where we were happy to submit it to our main publisher for consideration. They turned it down, much to our astonishment, I have to say, because we were convinced we had a winner on our hands. We therefore showed it to our Franco/Belgian publisher, Pastel, keen to know what they thought. They loved it! Given that we have been very successful with our other books in France and Belgium, especially Shhh!, and Pastel have supported us very loyally over the years, we decided to publish direct with them. The Book at Bedtime will be published in France and Belgium this autumn, some 2 years after I first showed my story and ideas to Peter. That’s actually pretty quick! (If I were to present a new picture book text to a publisher today, there’s a very good chance it wouldn’t be published until autumn 2021.) As for an English language edition of the book, it remains to be seen when that will appear, but there has to be one because, after all, that’s the language I wrote it in, not to mention that we don’t want to disappoint our English fans!